GlobalData PLC has announced the acquisition of MEED Media FZ LLC from Ascential PLC for a cash consideration of $17.5 million. MEED, formerly known as the Middle East Economist Digest, provides premium business information content with an industry focus on infrastructure and projects in the Middle East. The business services its growing client base principally through annual subscription contracts. As reported on Fusion DigiNet in January 2016, GlobalData Holding Limited, a company then owned by Mike Danson and Wayne Lloyd, was acquired by Progressive Digital Media Group Plc. Mike Danson is Executive Chairman of Progressive Digital Media Group. The Economist Group has acquired TVC Group. TVC is a communications agency, based in London, which specialises in a content-driven approach to public relations and creative services. TVC will continue to provide a stand-alone offer to its existing clients that include major brands across the consumer, government and luxury sectors. Terms of the deal were not disclosed. TVC Group employs over 50 people in London serving a range of broad clients including Coca-Cola, British Gas, Aviva, Louis Vuitton and Jaguar Land Rover. 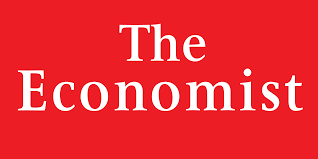 Principal executives who will join The Economist Group include Nicky Minter-Green (managing director), Adam Clyne (commercial director), James Myers (broadcast director), Sarah Harris (strategy director) and Greg Lappage (creative director).